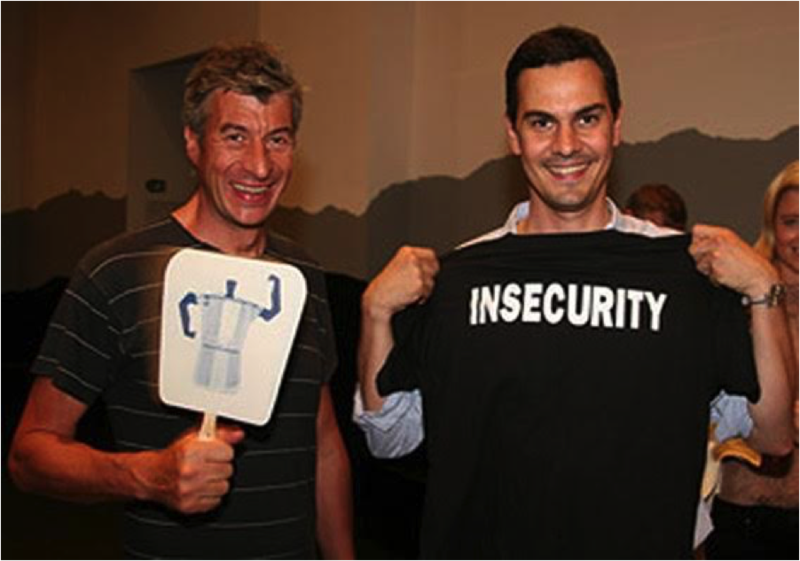 In 2009, Aaron Krach presented his piece, “Indestructible Artifact #11 (Confidence),” at the Art Institute of Boston. It was later featured in Artforum and sold at the New Museum store. A play on the t-shirts worn by security guards, the work explored what then felt like precarious times -- the immediate aftermath of the financial crisis, a new president, wars on multiple fronts, a shocking jet crash into the Hudson River. . . And what does it mean to wear an honest, and perhaps humbling, statement so openly? Revisiting the piece 10 years later, and two years into the current presidential administration, Krach believes “insecurity” has taken on an exponentially more urgent meaning. Others have evidently shared Krach’s sentiments. In 2016, he discovered the French fashion label, Vetements, selling an exact copy of the piece -- without permission, payment or attribution -- as part of its Fall/Winter 2016 collection. Since then, there has been a proliferation of copies (of copies) sold online and in street stalls. 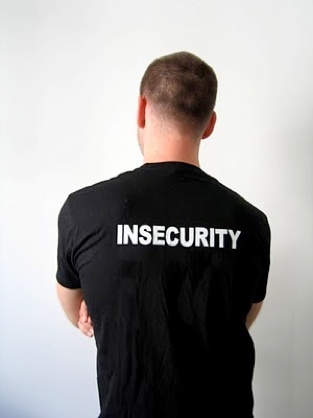 The exhibition asks us to consider what security and insecurity mean today through new limited edition INSECURITY t-shirts, a handful from the original production and an archive of photos and documentation. It also invites us to examine the ever-growing issue of plagiarism, appropriation and global distribution in the fashion industry -- especially in the age of the Internet where subterfuge is standard, anonymity is the default assumption and originality is obscured. The artist considered remaking the shirts and sharing (and selling) them online to mark the 10th anniversary. But coming together face-to-face in an exhibition is a more meaningful attempt to tackle the challenges of living together. Aaron Krach is an artist, writer and educator in New York City. He works with books, people, text, rocks, spray paint, vodka and plants, among other things, to make installations and experiences, sculpture and books. He exhibits in galleries, book fairs and public spaces in cities large (Sao Paulo, NYC) and small (Lake Ohrid, Macedonia). Krach is a two-time recipient of a Lower Manhattan Cultural Grant for Public Art. His work is in the collection of The Whitney Museum of American Art, the library at the Museum of Modern Art, New York, The Museum of Contemporary Art Barcelona and Yale University, among others. His first novel, “Half-Life,” was published by Alyson Books, and his most recent book is an obsessive homage to Anne Imhof’s Golden Lion-winning installation at the Venice Biennale (released 2019). He currently teaches art and design at Parsons The New School for Design, Purchase College and Queens College CUNY. MW Projects is a cultural production and art advisory firm dedicated to bringing contemporary art to historic sites, non-traditional venues and liminal spaces. We work with emerging and established artists to transform environments and encourage dialogue about contemporary art and culture. For more information, please visit www.MWprojects.art. Lighthouse Gallery is a new Manhattan venue for culture and events. Operated by Montauk Distilling Co., this East Harlem space hosts gatherings that connect diverse New Yorkers and illuminate their good work. For more information, please visit www.montaukdistillingco.com.